1. 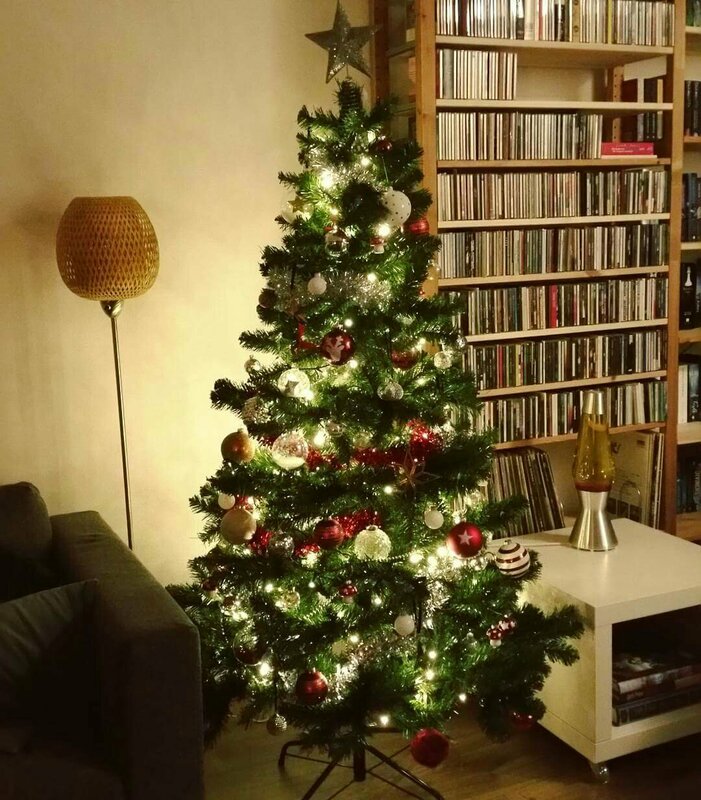 Setting up my Christmas tree – I love putting up my Christmas decorations and now that I’ve moved I finally have the space for a full sized Christmas tree. So putting that up and switching on the lights each day just makes me smile. Here’s to a great December. 2. My own home – It may be a cliché, but having my own space has been such a great thing. I no longer share my kitchen and bathroom with someone else and that means I no longer share anyone’s messes. That has just been such a relief. I am no longer cleaning away other people’s messes and it just means I can finally keep my place clean and tidy. 3. My view – I am a bit of a sucker for city views. It’s what I look for whenever I travel and I now have my very own cityscape right out my doorstep. I can see the Erasmus bridge and Euromast and moat of that right from my window. For a city view lover like myself, this is the best thing about this place. 4. My new city – Another thing I love to so is explore new places and I have been loving going around the neighbourhood to explore. Slowly but surely I am making my way through the city. It is a bit like being a tourist, but then in my own, but new, hometown. 5. Cooking – Now that I have a kitchen all to myself I have refound my joy for cooking. I now also have a freezer, which means I have so many more options. I simply have more storage so I can easily make foods that take up some space because I can’t eat it all in one go. I already made a big pan of pumpkin soup and the other day made a delicious lasagna. And leftovers simply get stored in the freezer afterwards. Apologies that so many of these items are home related. But I’ve been loving it and it’s been a huge change for the better. So good that you feel happy at you new house! Thank you! Yes, it’s been a great choice so far. No regrets.